Students can book a range of study spaces for a maximum of two hours per student per day. Bookings can be made a maximum of 48 hours in advance. 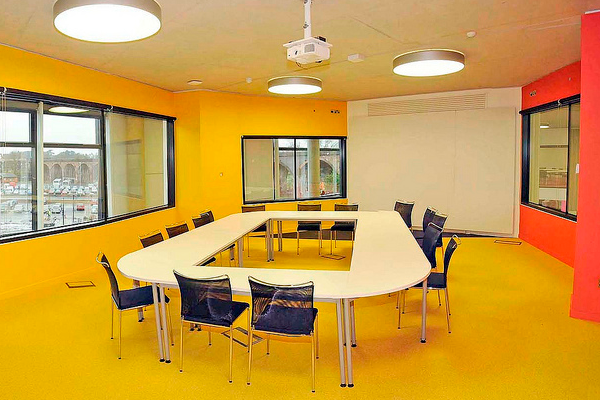 Meeting rooms can only be booked by groups of 4 or more. 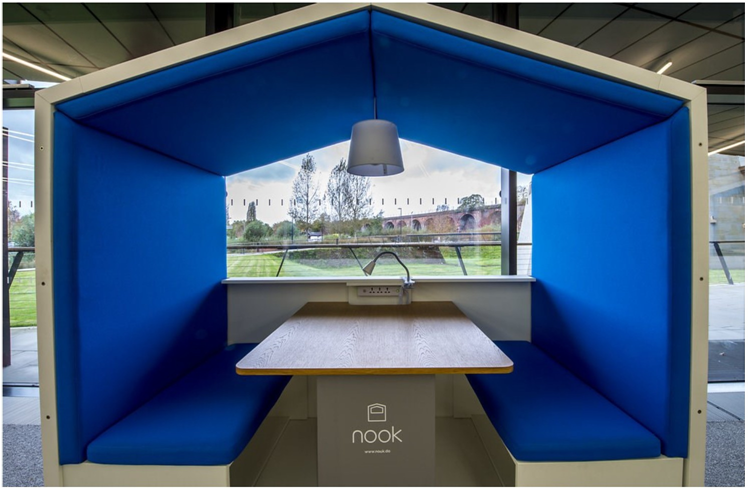 Nooks and Group Study Tables are also available. University of Worcester students can book using their network accounts. Students from institutions other than the University of Worcester will need to register using their school, college or university email address. All study space bookings are subject to terms and conditions and availability. The Hive reserves the right to amend bookings if required. Please let us know as soon as possible if you need to cancel a booking. Level 0 and the Studio can be booked free of charge for University of Worcester students between 5pm and 10pm. The glass room on Level 0 may be booked by University of Worcester student clubs and societies, also for free, between 5pm and 10pm. Please contact Caroline Hill to discuss your requirements. If you are not a student at the University of Worcester but would like to book a space for a meeting or event, please see The Hive’s space for hire pages. If you are a member of staff at the University of Worcester, you can book rooms for meetings, events and exhibitions.